It's all about them dual cameras lately. The iPhone 7 Pro will have one, they say, the LG G5 already does, and the Huawei P9's is even Leica-branded, to name just the latest most prominent ones. 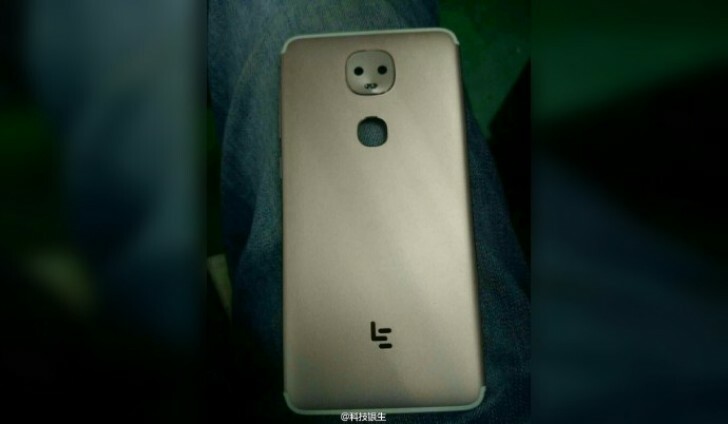 Well, apparently LeEco will be joining that club with its upcoming Snapdragon 823-powered high-end offering. The LEX720 (for lack of a commercial name) already showed up in a benchmark listing, and is now featured in a single live shot, represented by its back panel only, revealing the rear camera setup. The two modules and a dual-LED flash are combined in what looks like a human face. Okay, more like an alien's face. Underneath the disturbing camera assembly there's a cutout for a fingerprint sensor, presumably. Another design element we've already seen on the Meizu Pro 6, and expect to see more of it on the next iPhone are the antenna bands, top and bottom. All the dots will be connected this Wednesday, when the announcement event will be held.